Sue is a founding member of Renaissance Financial and has taken a strong leadership role both in the firm and in the community. Her commitment to her clients is rivaled only by her dedication to being a mentor, wife and mother, all with the goal of putting her heart into everything she does. As a female in a male dominated business, Sue naturally attracts female clients, specifically women who find themselves going through a transitional phase in life. In particular, she has assisted many women who find themselves in the unfamiliar situation of divorce or becoming newly widowed. She feels privileged to be able to help clients who may be suddenly thrust into decision making and are in need of their own financial strategies. The steps of divorce, including selection of assets, splitting of assets, relocation, support, and maintenance can be overwhelming. Sue can help calm her client’s uncertainty regarding their new financial situation. With over 20 years of experience in the financial services industry, Sue is a leader not only in the firm, but within Securian Financial Services, Inc. as well. She holds a bachelor’s degree in business and her Life Accident Health Insurance Agent License, and FINRA Series 7, 6, 63 and 65 registrations. She has been recognized by Securian Financial Services, Inc. as a Senate Club Member* in 2009 and 2011-2014, and a President’s Club Member* in 2010 and 2015. Within Renaissance Financial, Sue has been recognized as a Platinum level advisor* every year since 2010. Sue continues to grow her business and acts as a mentor for other young men and women who desire a career in the industry. 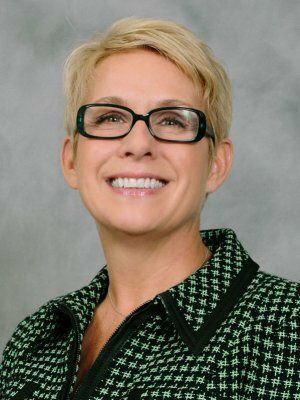 She has assisted other female advisors by helping Securian Financial Services, Inc. form the Women’s Interactive Sales Exchange (WISE). She serves on the advisory council for the organization and encourages other women in the industry to join. As an active member of the Central Presbyterian Church, Sue has led several financial classes for couples within the congregation. She is also proud to support Angels Arms’, Big Brothers Big Sisters, Susan G. Komen Race for the Cure, Our Little Haven and Celebrate Fitness. She enjoys working with these organizations to assist them in their mission of giving back. Being a financial advisor has provided Sue with the flexibility to balance her lifestyle as an active mother and wife, while achieving a successful career. Her deep appreciation for these blessings is what drives her to give to others and help them to realize their goals and dreams. Registered Representative and Investment Advisor Representative, Securian Financial Services, Inc. This information should not be considered as tax or legal advice. You should consult your tax and/ or legal advisor regarding your own situation. *Awards and club membership are based primarily on commissions, premium, or fees generated from investment and insurance products and other criteria relative to leadership, achievement, and recruiting. Working with this individual or firm is not a guarantee of future financial results. Investors should conduct their own evaluation.